creek | Try No More – Go for it! 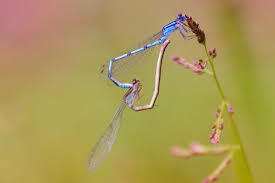 Did you know that when dragonflies make love they create a heart. That I find very beautiful and magical. It must mean something I don´t know what. Do you that we ever went down to the creek? Nono. I didn´t. I grow a fear for dragonflies. 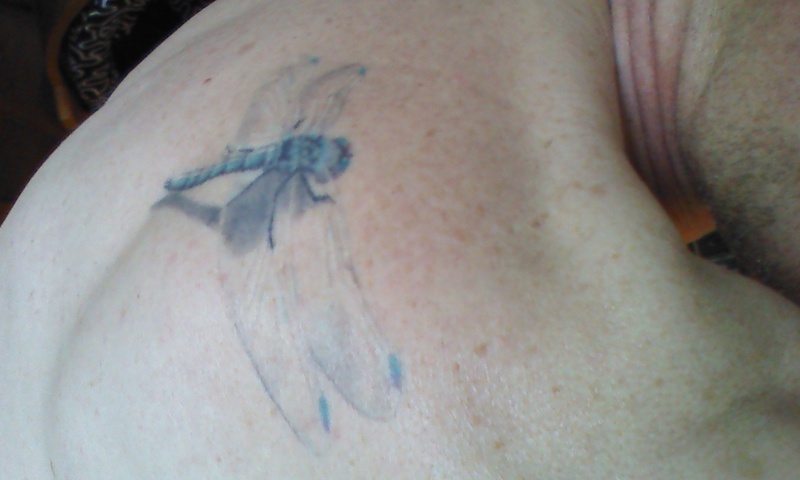 I got a phobia of dragonflies that is still, after more then fifty years, alive and active. I have tried to cure it. Once walking in the swedish mountains (fjällen) me and my wife was sitting in the heat of the sun on a hill when, suddenly, a dragonfly, decides to sit on my toe om+n my knee-boot. I decide to sit and wait for it to leave. I think this is my chance for cure. But. My heartfrequency begins to speed. My body begins to sweat. I am in total despair and I run away over the hill, away from the dangerous DRAGONFLY. Today I find them beeing very beautiful creatures in many many different formations, colors and places but I cannot be close to them. True but sad. Although I have one as a tatto on my shoulder as a sign for me to overcome my fears. I think it´s a great place to have it since I can not see it except in a mirror but I know all the time that it is there.